With its ongoing research into Vipassana, the Vipassana Research Institute (VRI) assumed a monumental undertaking: the publication of an authentic version of Pāli literature in Devanagari script. To understand the significance of this project, it is necessary to briefly describe the sources of Vipassana Meditation. The sources of Vipassana meditation are the teachings of Gotama the Buddha, contained principally in the vast Pāli literature. From the time he became enlightened until his passing away (maha-parinibbana) at the age of eighty, the Buddha wandered from place to place. Out of overflowing love and compassion, he taught Dhamma in the villages and towns of the kingdoms and democratic republics of northern India throughout his life. Speaking to groups or individuals, renunciates or householders, he delivered tens of thousands of discourses. In all his addresses, the Buddha's theme was the same: sila (morality); samadhi (control over the mind); and panna (wisdom, insight, purification of the mind by wisdom). He taught a practical method to help mankind escape from the bonds of suffering: the Eight-fold Noble Path, the quintessence of which is Vipassana. Sources from the Pāli literature offer a graphic account of the societal conditions during the Buddha's time. They describe how people from a wide spectrum of society were benefited by his ennobling doctrine: rich and poor, powerful and weak, learned and ignorant, saints and sinners, privileged and downtrodden, without any distinction of caste or hierarchy. The Buddha boldly declared all human beings equal, caste distinctions ignoble; debates and controversies on dogmas and philosophies, sterile; sectarian distinctions baneful. He declared: Dhamma is universal. 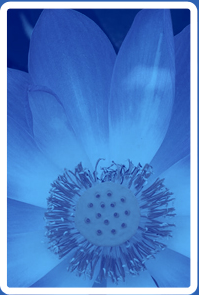 Dhamma is the law of nature. He taught that every person must discover for himself what is conducive to his own good and welfare, and the good and welfare of others. He gave to humanity its first charter of freedom. To people steeped in ignorance, superstition, and blind beliefs; chained in rites and rituals; and fettered by the bonds of philosophical dogmas, he gave the possibility of a way out. This universal teaching brought profound relief to the suffering humanity. The door to freedom opened. A fresh breeze blew which gradually swept the whole world. A new era in human history dawned; India was regarded as the World Teacher. Today, in our own time, the Ganges of Truth is once again flowing out from India to a thirsty world. 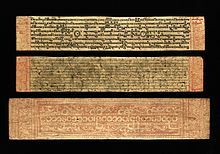 The priceless teachings of the Buddha are preserved in the Pāli canon, an extensive, detailed, systematic and analytical record. The Pāli canon descends from an august tradition. Within three months after Buddha's maha-parinibbana, a council was convened. It consisted of five hundred learned disciples who had attained the highest state of sainthood, arahant-phala. To prevent the Buddha's words from being distorted by ignorant and unscrupulous people, they formed the First Council to preserve the teaching in its pristine purity. Their express purpose was to collect and arrange the Buddha's voluminous teachings, which they organized into what is now commonly known as the Tipitaka. The Tipitaka (which means, literally, "three baskets") is arranged in three divisions: Vinaya Pitaka, Sutta Pitaka, and Abhidhamma Pitaka. Vinaya Pitaka: contains the rules of conduct for the monastic order. Sutta Pitaka: is a collection of discourses on various subjects by the Buddha. Abhidhamma Pitaka: is a compendium of profound teachings elucidating the functioning and interrelationships of mind, mental factors, matter and phenomena transcending all of these. The Tipitaka is a vast record, containing in modern script more than 24 million characters in over forty printed volumes. The Pāli literature also includes the Atthakathas (commentaries), Tikas (subcommentaries), and further subcommentaries such as the Anu-Tikas, Madhu-Tikas. The commentarial literature is very extensive, exceeding the Tipitaka in length. Khuddaka Nikāya (contains largest number of treatise & numerous categories of Dhamma, including popular books like Dhammapada and Jataka [birth stories of Buddha in his previous existence]. The six historical Councils, or Dhamma-Saṅgītis, were held for the purpose of compiling and preserving the words of the Buddha. First council was held within three months after maha-parinibbana (passing away) of the Buddha to prevent distortion of his words by ignorant and unscrupulous people. Between the centuries following the First Council and the present day, continuous and consistent efforts have been made to preserve the Buddha's teaching. Periodic councils of learned monks have been convened to systematically review the Tipitaka. The first councils conducted oral reviews. The entire collection was committed to writing for the first time during the Fourth Council, held in Sri Lanka three decades before the Christian Era. The most recent review, the Sixth Council, or Chatta Sangayana, was held in 1954 in Rangoon, Burma. Twenty five hundred learned bhikkhus and scholars from Burma, Sri Lanka, Thailand, Laos, Cambodia, India and other countries participated. By this time, the Tipitaka and allied literature had been published in several scripts (including Burmese, Sinhalese, Roman, Thai, and Cambodian). The Pāli Text Society of London, the Buddhist Publication Society of Sri Lanka and many scholars of high repute and dedication in the West and in the East had produced publications containing Buddha's teaching, making a profound contribution to the worldwide awakening to the existence of this rich treasure. The Chattha Sangayana made a thorough review of the Tipitaka, its Atthakathas, Tikas, Anu-Tikas and other commentarial literature. A remarkable uniformity and consistency was found in all versions. The Council performed an impressive task, finishing its work on the full moon day of May 1956 (the 2,500th anniversary of the birth of the Buddha) with the completion of an authentic version of the Master's teaching. From this brief historical outline, it is evident that a consistent effort, spanning more than twenty-four centuries, has been made to preserve the original words of the Buddha, a continuity of effort unparalleled in human history. The Pāli Tipitaka Project opens up a vast panorama to India's rich cultural heritage. The Tipitaka, sometimes referred to as "three treasures," is indeed a repository of inestimable value. Its publication will assist in enabling scholars, scientists, and social reformers to undertake studies and research in various fields of human welfare and thereby contribute greatly to the spread of Dhamma throughout the world. The publication of the Tipitaka and other allied literature - Pali literature and its commentaries and sub-commentaries contain the main source material. For the purpose of research, it was essential to have an authentic version of the Tipitaka, its commentaries and sub-commentaries in Devanagari Script. To achieve this basic prerequisite for research, i.e. availability of material, VRI undertook the gigantic project of compiling, editing and publishing of the entire Pali Tipitaka, its Atthakathas (commentaries) and Tikas (sub-commentaries). The Institute made the authentic version as compiled in the Chattha Sangnyana (Sixth Council) in Burma during 1954-56 in the Burmese Script as the base, for its publication. Pali scholars from India and other countries including many learned Bhikkhus and research scholars from Burma assisted. The entire Pali literature has been published in 140 volumes, each volume containing about 400 pages, for which enormous amount of careful, painstaking and tedious preparatory work was carried out over several years. a. Each volume contains a comprehensive index of relevant words and terms besides an index of verses. b. References to Vipassana, Pañña, Sati and Sampajañña which are crucial for understanding the teachings of the Buddha are highlighted. c. The page references of the Roman edition of the Pali Text Society London and the Chattha Sangayana Myanmar edition are also given. d. A summary of the suttas in Hindi, called Sutta-sara, is also given. i.e. The Canonical text, its Atthakatha, Tika, and Anutika are published together to form a set. a. Pali texts can be viewed not only in Devanagiri script but also in the following six scripts: Roman, Sinhalese, Thai, Cambodian, Mongolian and Burmese. b. An easy-linking facility has been provided to easily access the corresponding Atthakatha, Tika, and Anutika of a Canonical text. c. The CD also contains a Pali-Hindi Dictionary which gives the meaning of Pali words via a dictionary icon. d. Programming has been done in such a way that any word or a phrase can easily be searched and one can know how many times a word occurs in a particular text and shows its appearance in different contexts. This is a powerful tool in the hands of the research scholars. e. It is also freely downloadable from the website, www.tipitaka.org.